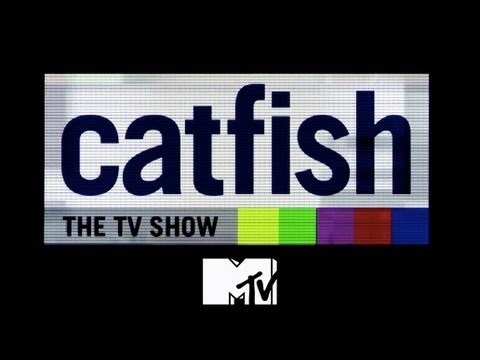 I decided to write this post after watching a few episodes of Catfish. For those that do not know, Catfish is a programme that reveals the deception that takes place via online dating. The catfishe’s claim to do this for numerous reasons such as, revenge, boredom, lack of self confidence and fear of acceptance. These relationships are formed online, with couples going up to two years without seeing one and other both in person or through video message. When watching this show or hearing about a catfish situation individuals have found themselves in, I really am left confused. First two things that come to my mind are firstly, how do you get into a relationship with someone you have never seen? Secondly, how many times does a person have to avoid video messaging you, before you think wait hold on what’s going on here? The fact that some of these catfish scenarios play out for so long really baffles me. I genuinely can’t understand how these people can have a relationship with an individual for so long without seeing them. Personally I would have been suspicious after the first month, let alone years. In this day and age digital media has become a social norm and for that reason a large amount of people have access to video messaging Apps such as web cam, face time and Skype. Therefore avoidance of communicating via these platforms should immediately set of alarm bells. My personal opinion on this topic and how to avoid being catfished is simple, do not get into a relationship with a person you have not seen in person as they can be anyone. Yes you may like what they are saying to you but there is more to a relationship than words. You need to be completely sure of that persons identity, and if they fail to prove it to you. Cut of all ties! On the other hand It really does sadden me that individuals would impersonate someone else in order to start a relationship online whatever there reason for this may be. I would love the catfish producers to create a programme that focuses on the life’s of the catfishe’s rather than on the victims. This will help us to gain a better understanding on what motivates them to create a fake identity and how they keep the lie going for so long. I would love to know your views on this topic. Who should pay for the date? Hi yall, my opinion on catfish is that both the catfish and the person that is being catfished both have some sort of insecurities about themself. the fact that u can be in a relationship for a number of years and not have even met that person that they claim to be in a commited relationship which makes me think that both parties have a underlining issue when it comes to relationships. A lot of people blame the catfish And don’t ask how the actual person that is being catfish was able to get themselves into a situation where someone was able to catfish them in the first place.which means they made themselves available to such nonsense from the beginning, like for instance how are you able to call someone your partner you hardly know each other because you have never met you have never seen a person face-to-face you’ve never touched you don’t know what they’re like in person you are not in a relationship with that person this is make-believe relationship in my eyes.I understand people not seen each other a lot in relationships and having long distance relationships but not seeing that person at all is ridiculous not even on the Skype. How can a person put up with that within a this so called relationship and if they do it is not a good trait to have in a relationship so therefore my opinion of catfish is that both parties are just as bad as the other. I definitely agree that both parties have insecurities, to be in a relationship for so long, without confirmation that the person is who they claim to be is very strange. If you haven’t seen your supposed other half even through video message in the first month, it should become questionable. Not going to lie, i love this show, it just provides great entertainment. I think these people on this show have a part of them that knows something is wrong, but have an issue and would just like to hold on to the love they feel they are receiving. It definitely does entertain, I catch a lot of jokes whilst watching it. I agree that they have a feeling something is not right. I’m shocked they go on with it for so long before actually contacting the Catfish producers so I too also agree they are happy receiving that love and attention.